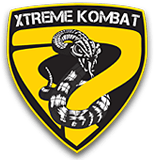 Halloween is upon us and if you live in Raleigh, Durham, or one of the surrounding areas in North Carolina, then look no further than Xtreme Park Adventure’s Xtreme Haunt to get your thrills and chills. 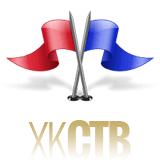 Xtreme Haunt is not your average haunted house, haunted trail, or escape room. 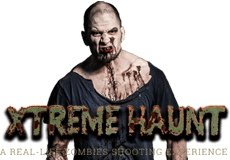 Instead, Xtreme Haunt puts you in the middle of a real-life Zombie shooting experience while riding on a real 40-foot military truck through acres of North Carolina forest area. How does the Xtreme Haunt Halloween Zombie Shooting Ride work? Buy your tickets online or at the door. When you arrive, you’ll be given your paintballs and assigned your own gun. Your challenge: shoot anything that moves. Zombies will emerge from the shadows of every building and tree around you. Whatever you do, keep the Zombies away from the truck if you want to make it out. If you find yourself in a state of panic, one of the Generals on board will give you instructions and let you know what to do next. The good news: there is an escape plan. If Plan A fails, you’ll turn to Plan B. But be warned, there is no Plan C. If you need more paintball ammunition while on the journey, you can purchase as you go. Where will Xtreme Haunt’s Halloween Zombie experience take place? 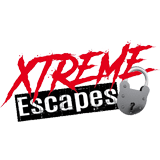 Xtreme Park Adventures, the ultimate destination in the North Carolina Triangle for extreme sports, will transform on select dates this October to Xtreme Haunt for this zombie-themed, haunted Halloween thrill. Assuming you make it through the Zombie shooting ride, you can challenge your skills further in a mini escape room, Zombie laser tag, or on a 30-minute Ropes Course where you will hang in the air while trying to overcome dangling obstacles. 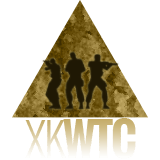 Where do I sign up for the Xtreme Haunt Halloween Zombie shooter ride? Buy your tickets online today. As one of Raleigh-Durham’s top haunted Halloween attractions, we will sell out fast. Celebrate Halloween this year with friends, family or by yourself, if you dare, and get ready for the haunted house thrill of a lifetime. 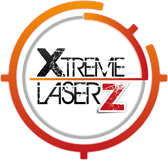 Xtreme Park Adventures is the ultimate destination in the North Carolina Triangle for extreme sports, offering outdoor laser tag, airsoft, paintball, ziplines, a special Xtreme Haunt Halloween event and more fun across our 50-acre park. 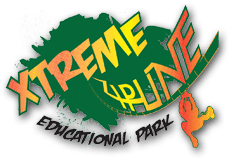 Xtreme Park Adventures offers fun for all ages, with Peewee Paintball for kids ages 6 to 8 and a Kids Zone for 3-year-olds and up. 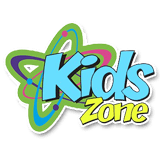 Xtreme Park Adventures is open seven days a week from 10 a.m. to 4 p.m. Monday through Friday, and 10 a.m. to 6 p.m. Saturday and Sunday. 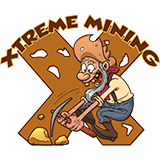 Xtreme Haunt Halloween activities are available on select dates: Oct. 12-13, Oct. 19-20, and Oct. 26-27, so purchase tickets today. 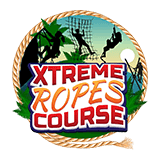 For more information or to make a reservation, visit xtremeparkadventures.com or call 919.596.6100.